All Tournaments are also USCF rated. Use Link For Great Deals!! Ok, so you might want to know the details to actually achieve a FIDE rating. You have to play 9 rated FIDE players. The 9 games are divided into 3 groupings of 3 games. None of the games you play will count until you achieve AT LEAST 1 point in your first grouping of 3 games. Then in the next grouping of 3 games you need to score 1/2 point. In the third and final set of 3 games you need only score 1/2 point again. 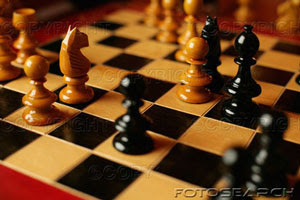 For example, I played 2 FIDE rated tournaments. The first tournament I did not get 3 FIDE rated players. No rating norm. The second tournament I got 4 FIDE rated opponents, but only scored 1/2 /4. No rating norm. In my third FIDE tournament I FINALLY scored 1 1/2/5 FIDE rated games. I now have 5 FIDE rated games because I scored the norm. Now I need 4 more FIDE rated games. With the next set of 3 games I play, I need only to score 1/2 point. THEN, I get a FIDE rating! Here's another way you could achieve your FIDE rating. You play in an event with 9 FIDE rated players. You score 2/9. The requirements are 1 point, then 1/2 and then one last 1/2 or 2 total. In that one tournament, you achieved the requirements you need. Sounds confusing? It can be. If you want more details, go to the FIDE website where it all becomes as clear as milk. Good Hunting! PLEASE TAKE A MOMENT AND CLICK ON THE GOOGLE ADS! IT DOESN'T COST YOU ANYTHING, BUT IT HELPS US OUT! THANKS!! MCA FIDE FUTURITY XII G/90+30Sec Sep 10-12, Oct 9-10 2 slots remaining! 1. 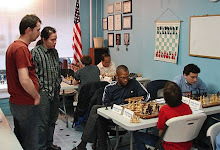 IM Young's Touch Move Chess Center at 5639 N Ashland in Chicago has Blitz tournaments every Friday and many other activities. Use their link. 3. FM & USCF Life Senior Master Andrew Karklins available for lessons. $25/hour. Call him at: 773-327-0862. Chris Baumgartner Age: 40 Life Member of USCF. FIDE rating: 1875. Frank Berry - The inspiration for me to run FIDE events, My International Arbiter, provider of the Monroi devices and an all around great guy! Ron Suarez - He promotes FIDE chess, he got us a FREE site in central Illinois (Illinois Valley Community College) He's not too bad of a guy, either. Larry Cohen - This guy drove with me from Chicago to Oklahoma for my 1st FIDE rated tournament. (run by Frank Berry) He also went to Iowa with me where I scored my first FIDE rating norm. (1/2 point against Larry in the 1st round!) Larry is always willing to play, since he is FIDE rated,that is very helpful. He is reliable and soft-spoken, extremely knowledgeable about TD related items. A guy couldn't have a better friend.